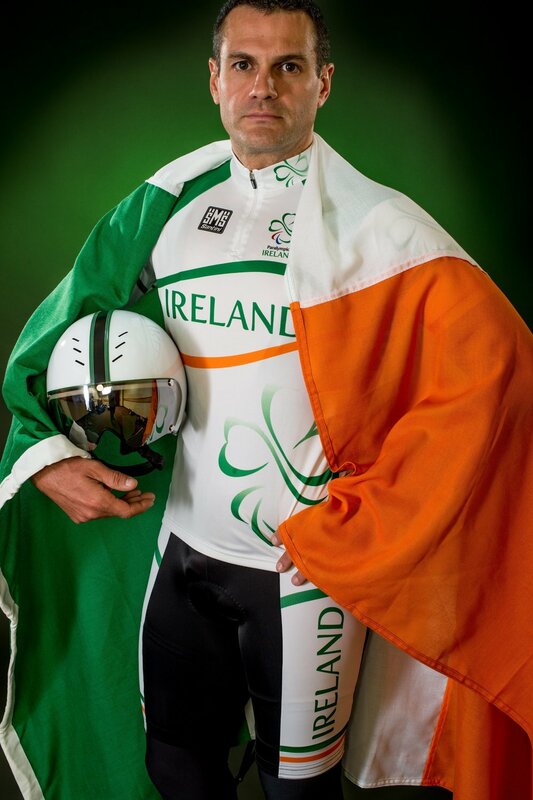 Paralympic Silver medalist, Colin Lynch, has confirmed today that he is retiring from Paralympic Cycling. Colin is a multiple world championship medalist and achieved his ultimate aim of paralympic glory at the Rio2016 Paralympic Games. Colin announced his retirement with a statement earlier today, an extract of that statement is visible below. All in Paralympics Ireland would like to wish Colin the very best in his retirement. I’m not certain exactly when I fell in love with cycling. Probably somewhere around the age of 7. Since then, I’ve never been far from a bike. Even after losing my leg at the age of 21 I kept on riding, even just for fun. In 2008 I had the privilege of briefly working for British Cycling and was exposed to their World-Class paracycling program. And watched as their riders won medal after medal in the 2008 Paralympic Games. It was then that I became inspired to get into the sport myself. In 2010 I joined the Irish Paracycling Team. I was brought along to a week-long training camp in Newport on the track and did my first ever track races at the end of the week. And from there the journey began. By the end of 2011 I had progressed rapidly up through the ranks and won my first World Championship title on the road time trial. And followed it up a few months later with another title in the Individual Pursuit on the track in 2012. These are perhaps my 2 greatest and favourite achievements. Along the way there have been many ups and downs. The pain of losing a medal in London 2012 by a mere 1/10thof a second and the joy of a silver medal in Rio 2016. The disappointment of suffering a puncture 42 minutes into an Hour Record attempt – and the satisfaction of smashing the record a year later. I’ve won multiple National titles, over a dozen World Cup medals, 5 World Championship medals, a Paralympic medal and achieved a world record. It’s been a prosperous career. I had hoped to carry on and try to qualify for Tokyo 2020. Up until the end of 2017, things were progressing well. However, as I entered the 2018 season, I began to notice changes in my balance, coordination and general mobility. Walking became much harder and my cycling took a big hit. I had a big drop off in my power output which lead me to seek medical advice. I discovered that I was building up fluid inside my spinal cord which was causing these issues. The only cure for the problem is surgery, and it’s complicated at best. I have tried to train to overcome the deficit but it’s clear that it affects me far too much. After racing the World Championships in the Netherlands on the track, it was obvious that I am no longer able to compete against the best in the world ()certainly on the track) My best simply isn’t good enough any more. And with no funding and an inability to raise further funds even through things like crowdfunding, it was clear that it is foolish to try and carry on and see if my time trial skills were still at a competitive level. So with immediate effect – I am announcing my full retirement from competitive cycling. There are a many people that I would like to thank and shine a spotlight on. First –to my coaches Neill Delahaye and Kyleigh Manners. Neill has been my National team coach for many years. He’s been there through all my successes since 2013 and guided me to my Paralympic medal. Without him I never would have made it this far.